The Race is over…now what? 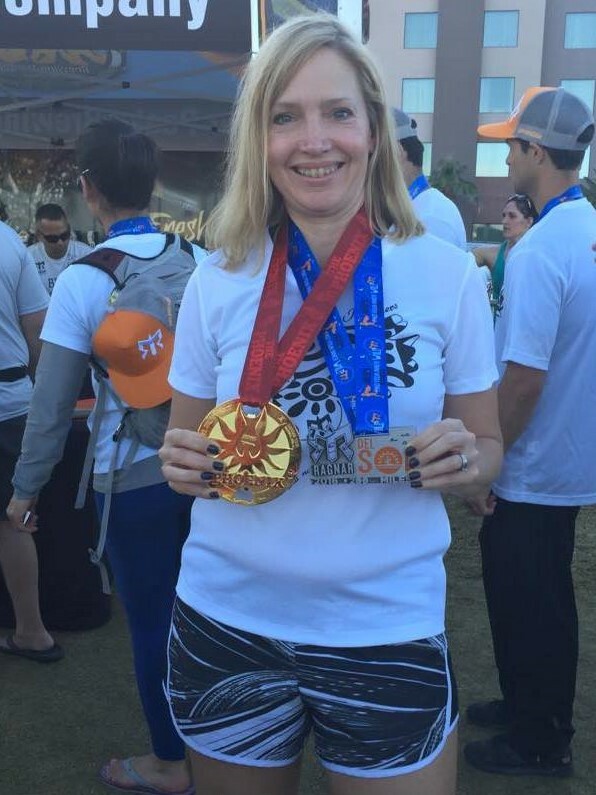 Home › Blog › Fleet Feet Scottsdale News › The Race is over…now what? You’ve been training and training to run the race but what happens as soon as you cross the finish line? The best time to plan your post-race strategy is prior to the race. We’ve heard horror stories of folks who completed a marathon and then jumped on a plane only to arrive at their destination dehydrated and cramping. Besides having that all-important banana and hitting the vendors for all the free swag, there are a few other things to do to smooth that transition from race to rest. You’re elated but exhausted…and your first instinct might be to just sit down. We recommend that you take a 10 to 15 minute walk to keep the blood flowing. Stopping too soon can cause cramping and or joints can suddenly get stiff. Once you’ve walked for a bit, take the same amount of time to stretch. A post race massage is sometimes available to help move the lactic acid from your muscles and work out any knots. Foam rolling is a great substitute when post race massage isn't available. It seems obvious but rehydrating and replacing your electrolytes is a must. That post race banana can help to boost your potassium and provide you a quick hit of sugar. If your stomach can manage it, chocolate milk is a great option too. Don’t forget to have a real meal later that includes carbs, protein and fat. Typically, it’s best to refuel with a meal about an hour after the race. That time frame will ensure that your stomach is ready to digest food. Ice baths as a post training recovery method…does it work? Like many things, there’s debate as to the effectiveness but research has shown that if you believe an ice bath will help you post run, it’s more likely to actually be perceived as helping. Here’s the how to: Fill the bath tub with water and add ice to bring the temperature to 55 degrees Fahrenheit. Sit in the tub for up to 10 minutes. If you can’t stand the cold, research shows that taking ibuprofen or another anti-inflammatory provides a similar effect on reducing inflammation. After all the race preparation, some people experience a psychological let down once the race is over. If possible, try to sign up for another race in a short time frame-depending on your abilities and wants. For instance, it’s fun to do a 5k a few weeks after a half marathon. Typically, running through the blues helps to re-set your attitude. If you ran for a charity or a cause, try to focus on the good feeling of helping your community. The good news is that no matter where you are, it's usually possible to sign up for another race and run again and again. Trying a fun race after a grueling prep can be just what you need!